We’re all aware of the big and obvious things that rock our existence. But it’s the small—oftentimes invisible—things that can prove to be most destructive. Here’s an example. While at Cape Cod, Don and I took a nature walk, enjoying the beauty of the wetlands. But something unseen was putting a damper on things. 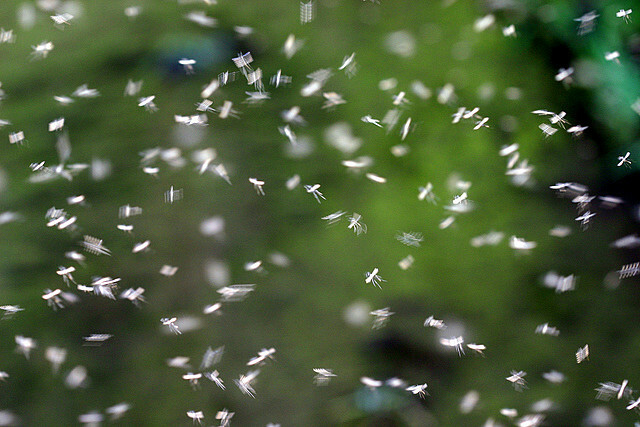 Call it gnats … some people call them no-see-ums. I call them nuisances. For Don and I, the experience was akin to being aggressively attacked by a battalion of biting mosquitoes. Interestingly, earlier in the day at our seminar, Thomas Moore suggested we look for animal sightings and explore their symbolic meaning. Sure enough, those bothersome little creatures qualified. At some point in our nature walk, exasperated and miserable, Don and I woke up and remembered our assignment. A shift in consciousness occurred. Instead of seeing those tiny little creatures as the enemy, we now saw them as innocent. “They just want to survive,” Don said. Life’s small irritations have the potential for eroding wonderful experiences. Small, unseen, or seemingly insignificant things make their presence known by their effect on us. Therefore, it’s wise to tune in to how we’re affected internally by things. Gnats are a subtle threat. The opposite is true of a grizzly bear. There’s nothing subtle about that threat! In a way, we’re better prepared for an obvious threat. Small issues can grow into big problems if not attended to. If you don’t want the big issues in your life, you’d better be willing to deal with the little issues on an everyday basis. I invite your insights. Thanks! Love it Salee! I think it’s those little issues “gnawing” away at me when I wake up in the middle of the night and can’t sleep.